USB Flash drives or Pen drives are one of the easiest way to transfer data from one computer to another. But what happens when you lost your USB drive which has some important files which you don’t want to share. Or forget your USB on your office desk and worried about the data that you save on your USB pen drive. 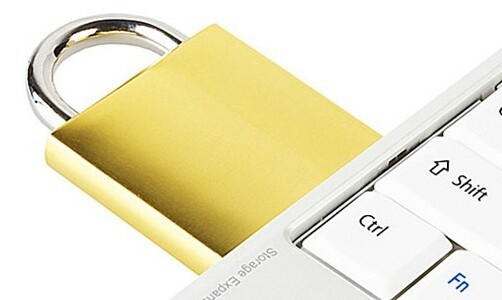 Now you can protect, secure and Lock your USB drive with password. All you need a free USB security app USB Flash Security, which allows you to protect the data inside your USB flash drive with a password. There are so many ways which allow you to secure your USB drive with these type of situation, but today we come with a free app USB Flash Security. And yes always Protect Your PC from USB Viruses with these tools. Now come to the USB Flash Security, just download the app on your Windows PC and install the app. After the installation a new dialog box appears on your Windows screen asking you to connect the USB flash drive to the computer. 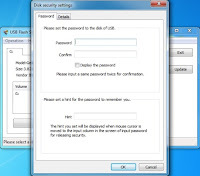 Now connect your USB to the pc to install the USB Flash security in your new USB Flash drive, it is automatically recognized by your PC and give you all the details about your USB Volume, Free space, and Drive information. Now the app will format all your USB data first time, so be sure you don’t have any important data on the USB Flash Drive. After the installation the app will ask you to set the password for the USB flash drive, and choose a hint for the password in case you forget it. 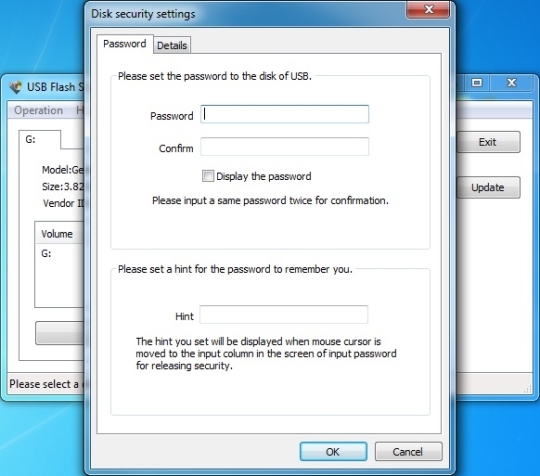 Click OK, now your USB drive is protected with the security feature, once you remove the USB from the PC your Flash drive is automatically get locked with the password. The application has both free and paid version and available for both 32-bit and 64-bit versions of Windows XP, Windows Vista, Windows 7 and Windows 8. All in all, USB Flash Security is a simple and effective solution to lock your USB Flash Drive. We strongly recommend it to all users.